The dramatic land and seascapes of Achill have long inspired writers and artists of international renown, from Paul Henry to Camille Souter. The island’s ever-changing light, its evocative deserted village, its fast-moving weather, its proud history of struggle and survival, its lore and its lyricism continue to attract those of a creative bent. Poet John F Deane and sculptor and painter John Behan RHA are the latest to be moved to eulogise the craggy cliffs, peat bogs and wild seas of Achill. Poet and painter – both members of Aosdána who have contributed greatly to the country’s artistic life – have come together to produce ‘Achill: The Island’, a beautifully wrought collection of poetry and imagery. Achill-born Deane’s poems are all inspired by the island, and each of Behan’s paintings are in turn inspired by the themes within these poems. The combination is magnetic. 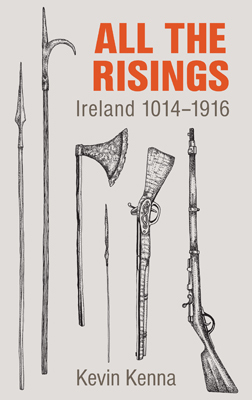 The work touches on ‘the deepest and most meaningful aspects of the life of a west of Ireland community’, exploring its history and traditions. Two artistic giants together celebrate the island’s beauty and wildness– as well as its daily life, unflinchingly but empathetically looking at its tragedies, while singing its joys. The result is a moving, compelling insight into island life. “I love the poems,” says author Colum McCann of the book. “In particular the lines that hit me … For hours, hopeful, we rooted in the quarry for amethyst, its flush economies, its crystals “I used to go to Achill Island as a child. I still treasure a piece of amethyst I found there. John F Deane captures the hopeful search for the crystals in the quarries of our souls. Like that piece of amethyst, I will carry these poems with me forever. The power of Deane’s poetry is that he allows us to go away and come home at the exact same time. John F Deane was born on Achill Island in 1943. He is the founder of Poetry Ireland, Ireland’s national poetry society, and its journal ‘The Poetry Ireland Review’. He is also founder and first editor of the Dedalus Press. He has published many collections of poetry, including most recently ‘Semibreve’, a collection of poems published by Carcanet in 2015, and his memoir, ‘Give Dust a Tongue’, published by Columba Press in 2015. 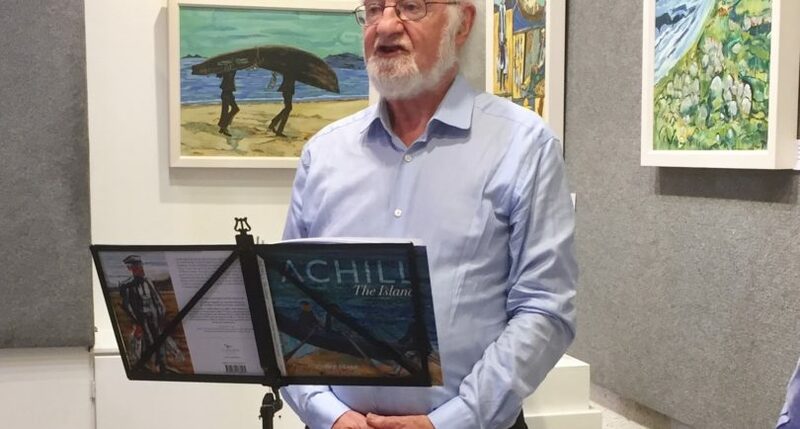 Of the genesis of ‘Achill: The Island’, he writes, “I have read my poems on the island to an appreciative audience and have helped open exhibitions of paintings in the Western Light Art Gallery [at Keel, Achill], run by Seán and Margaret Cannon. John Behan often exhibits in that gallery and it seemed natural to come together with John and work towards a book such as this.” He adds that the book ‘hopes to touch on some, at least, of the island’s wonders’. Born in Dublin in 1938, John Behan studied at the National College of Art and Design, Ealing Art College in London and Oslo’s Royal Academy School. He helped establish the Project Arts Centre in Dublin in 1967 and the Dublin Art Foundry in 1970. His sculptures include ‘Arrival’, commissioned by the Irish Government and presented to the United Nations in 2000, and the National Famine Monument at the foothills of Croagh Patrick, in Murrisk. He spent time in artists’ residency, the Heinrich Böll Cottage on Achill, and much of his work is related to island life. The paintings reproduced in ‘Achill: The Island’ depict mostly shore and sea life – the launching of a currach out to sea, an old mariner contemplatively resting on a rock, a yawl at Achill Sound, a strong-featured fisherman with his catch. Rich blues and mustard ochres dominate. The sea’s many hues are often rendered in bold strokes, the hulking mountains that overlook it brooding and heavy. Throughout, there is a sense of admiration, respect and quiet observation, as the island goes about its business.